I've only been peripherally following the political world in the past few months. There was apparently an election I'm told, and after the election we have the Mayan apocalypse and our own apocalyptic cliff to fall off of. (I was without power for a few weeks, so all this is coming as new to me). In case you are like me, the fiscal cliff is a series of tax cuts that are set to expire at the end of the year. It also would mean that spending cuts would take effect, which would have an impact specifically on Food Safety in the United States. Last week was EtQ's annual User Conference, where users of EtQ software come from all over the world to learn about technology, trends and topics in the Quality Management and EHS Management industry. One of those topics was on Risk and Compliance. See, we continue to write about and develop solutions centered around Risk Management Software, and I think for many, Risk remains this enigmatic and elusive concept. The perception is that they are so concerned with operational issues, that conducting risk, while strategically significant, seems way off in the future for them. This is far from the reality - in fact many companies are already doing risk in some way or another, and not even knowing it. Last year, the GFSI revised their guidance document to better address the needs of food safety in the marketplace. As a result, this required all GFSI-recognized schemes to adhere to the new guidance. SQF took this opportunity to re-evaluate their SQF 1000 and 2000 codes and decided to combined them into a single, holistic code, now titled "SQF 7th Edition". FDA FSMA Regulations Delayed: Don't Wait for Food Safety Management! 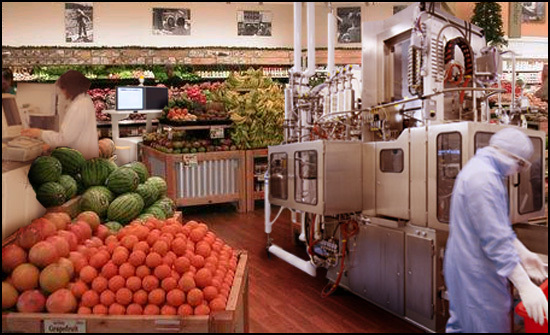 Last year, we all waited with anticipation when the Food Safety Modernization Act was signed. This marked an evident step forward in the regulation of Food Safety from the FDA, and many saw this as a progressive move in the right direction. We spoke on this act, and illustrated the long road ahead for regulations. It seems, however, the road is a bit longer and a bit bumpier than expected. Last week, I spoke about how to set up a Risk Matrix and the considerations on how to determine risk scales. I mentioned how Risk methods provide the objectivity needed for many organizations, but a team is need to ultimately make the decision. Like anyone who is involved in the food industry, I was very pleased to see Congress pass the Food Safety Modernization Act. We've certainly heard much about it in the past 18 months (or more), and it's a monumental step in the right direction towards achieving a national food safety program. That being said, it's still a long road ahead. It will take months, if not years to draft the regulations, train and develop the people to enforce those regulations, and most importantly, to pay for it all. The current price tag is looking at about $1.4 billion over the next 5 years.